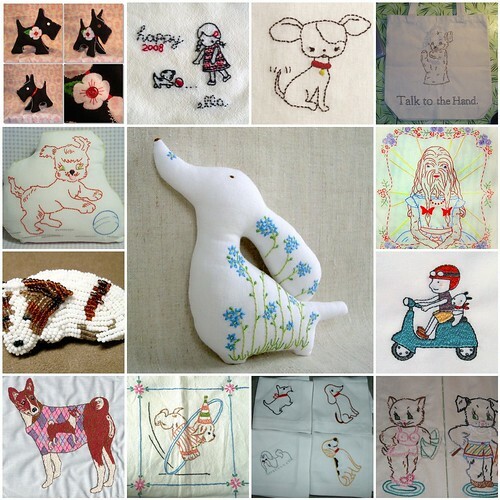 All of these wonderful amazingly talented people are on flickr and can be found in the embroidery group. thank you so much for the feature :) Puppies are simply adorable! These are so cute!! But then again, I just love all things with dogs....love the one in the middle. a lot!!! Thank you so much for including my lil puppy piece! sweet and interesting! thank you for including my basenji's embroidery! great finds. i love the central image. aw thanks for including me. I need to get someof these paterns from people! !